This entry was posted in Awards, SF & Fantasy Art, Worldcon and tagged Ed Dravecky, Hugo Awards, Hugo base design, LoneStarCon 3, Vincent Villafranca by Mike Glyer. Bookmark the permalink. 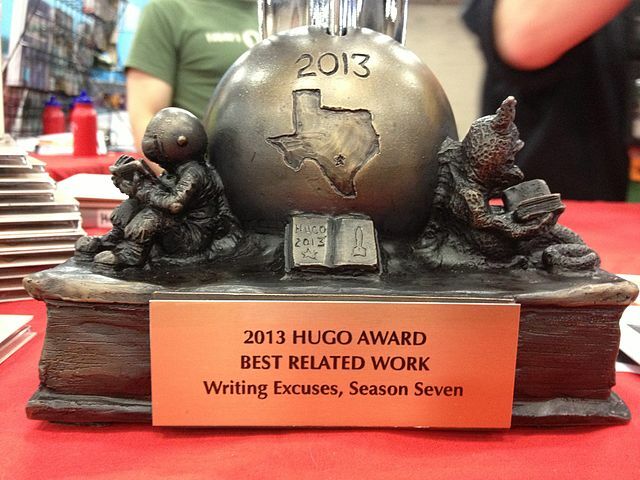 And I’ve held the Hugo and that photo gives a better view of the base than I’ve had.